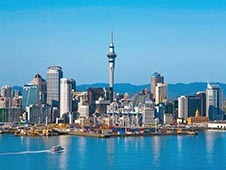 Auckland – one of the largest cities in New Zealand. It is known that it has access to two bays (relating to different seas) and contains about 50 volcanoes that have long been extinguished, but remained under the guise of various natural entities – islands, mountains, etc. The city has many famous parks, Centre for Research in Antarctica (such as animals) underwater tunnel, souvenir market, art museum and other attractions. There can be a fun and varied time. To travel around the city you can use the rented car at the airport or the center of Auckland. It's enough to take advantage of the site bookingcar.ru. Parking in Auckland can not worry - parking is always and everywhere, thanks to loosely flow of vehicles. Provision and paid parking and parking lots that do not require payment. All information about the parking sign indicates compliance blue established before entering. The average price of 1 hour parking - 2 New Zealand dollar. It is important to respect the time limit, leaving the car in the parking lot. Traveling to Auckland, drivers of vehicles should be ready for the fact that some of the roads will be paid. Among toll roads owned highways, located on the territory of the town. On weekdays, from 6 am and ending 7 pm, the fare is $ 1.58. On weekends in the same time you need to pay only 79 cents. Most gas stations maintain a system of self-service. Maximum - the driver will come to the aid worker and flood fill the right amount of fuel as long as it pays the fuel at the checkout.